Are you running a business? Nowadays, you’ll miss out on a lot of great income-generating opportunities if you don’t bring your business to the World Wide Web. The best entrepreneurs know the power of the Internet and use it to attract more people to their business and turn them into loyal customers. It only makes sense to build a website that’s geared towards promoting your business and selling your products to an even wider audience. But how do you even begin? Well, you will first need a reliable and affordable web host! But the thing is, there are hundreds of thousands of web hosting providers out there, and not all of them have your best interest in mind. Some of these web hosts can be trusted as they’re committed to providing quality hosting solutions, but many of them are probably just after your money and will leave you with sub-par hosting services. Lucky for you, I’m here to make things a lot easier for you by providing you with in-depth reviews about web hosts that you should and should NOT trust. If you’re reading this BlueDomino review, chances are you’ve stumbled upon this web host while browsing the Web, or a friend or colleague suggested it to you. And here you are, wondering whether or not you should give it a try. Well, stick with me a bit longer because I’m about to get to the nitty-gritty details and give you the answers you need before you make the purchase. In this BlueDomino in-depth web hosting review, we’re going to unveil their cheap all-in-one hosting solution, including the features that come with it, the pricing, uptime record, customer support, and every important detail you need to know. BlueDomino claims to be one of the oldest and most stable web hosts in the market. It was established in the year 1996, and is currently headquartered in Burlington, MA. They offer shared hosting, web marketing, and site management solutions for thousands of website owners and web developers. Today, they are more focused on providing quality shared hosting services, but they also offer other services such as SEO and SSL certificate rentals. At first glance, you’ll immediately think that BlueDomino is a simple web host, if not too plain. Their website is clean and not particularly imposing. It seems to have a lot of common traits, but the overall layout is specifically designed to put you at ease. But the straightforwardness of BlueDomino is exactly what sets them apart from many of its competitors. In fact, it’s their greatest strength. While it’s not the greatest web hosting provider for everyone, BlueDomino have chosen to do what they want to do with quiet dignity. They may not stand out in terms of their offerings, but BlueDomino have carefully chosen functions that make it a web hosting worth considering, particularly among individuals and small business owners. In terms of ease of use, it helps to begin with BlueDomino’s website itself, which is laid out well and is very easy to navigate. This means that everything you need can be accessed quickly and easily. Even choosing a plan is extremely easy, seeing as they only have one hosting plan on either the Linux or Windows platform. The company has taken to heart the idea of simplicity by providing the basics and adding a couple of special things into their hosting package, which is enough to make their offer unique. BlueDomino’s One Plan offers complete all-in-one hosting solution that’s specifically designed for those who don’t really need all those unnecessary junk that’s often added in hosting packages. The plan comes with plenty of disk space, bandwidth, and additional features – all for $5.50 a month with no setup fee. There doesn’t seem to be any hidden caveat on this hosting plan, and it even comes with free domain registration (for 1-, 2-, and 3-year plans) and an extensive library of applications that will help you develop a quality, professional-looking website. 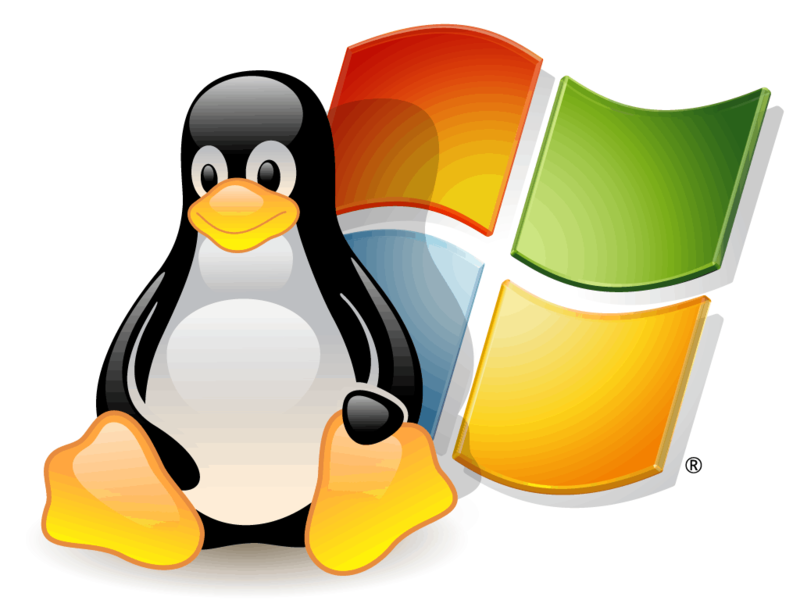 You can choose to have your site hosted either on the Linux or Windows platform. There’s a slight difference with the price between these two platforms, but the features pretty much remain the same. Check out the charts below for the pricing and features list. At the backend, you’ll see a fairly standard file manager that gets the job done right and doesn’t get in the way of things. It’s there to ensure that you can easily access your files and configure the structure of your site. It doesn’t even need a lot in order to be easy to use. However, if you’re an advanced user who needs a lot more tools and options, BlueDomino doesn’t have a lot to offer, which means you need to look somewhere else. Despite only offering a single hosting plan, what’s include in the package is pretty decent. You get unlimited data and email accounts, which is convenient if you have a team or other users you want to have company email addresses. But like any other web host, BlueDomino cap the number of domains you can host under a single hosting account. BlueDomino’s feature set is what we’d expect from a web hosting service that caters to small businesses, including a web-based file manager and control panel, as well as standard website analytics functionalities that tell you how much traffic your site is getting. There aren’t a lot of advanced features for web-savvy individuals, though BlueDomino does offer customizable error pages and access to raw log files. I’d like to take note that although they do serve up some pretty nice features, the service does lack a number of key features. Yes, it does offer eCommerce solutions, but if you want extra security features such as SSL certificates, you need to pay extra. BlueDomino also does not provide custom cron jobs or email autoresponders. Some of us can probably go along without these features, but they can actually enhance the overall usability of the hosting service. But what’s really surprising is that this web host doesn’t provide a seamless website builder. They may offer one-click application installs, but a website builder could have been a game-changer that could help the beginners build a simple website from the ground up. Other similar web hosting providers that offer more hosting options include BlueHost, eHost, and iPage. Make sure to read my in-depth reviews on these providers before deciding to sign up with BlueDomino. Do you have an existing WordPress blog/website? Planning to create a WordPress site with BlueDomino? No problem! 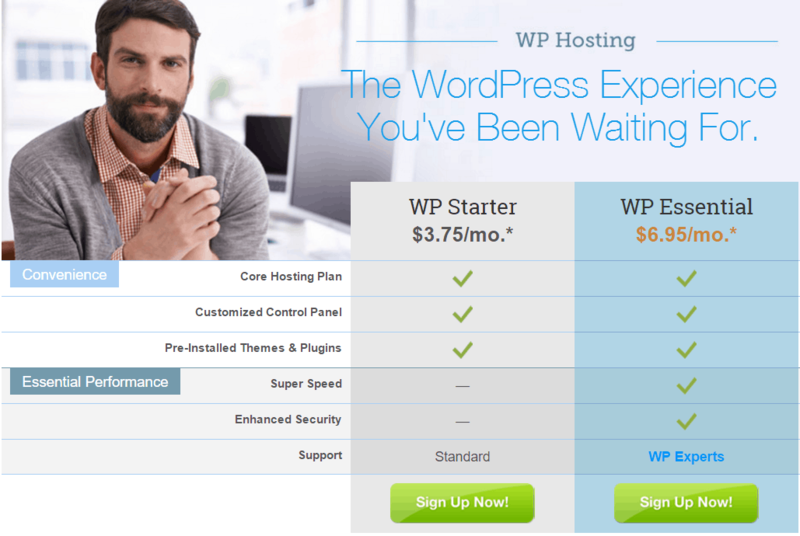 BlueDomino offers a choice between two managed WordPress hosting plans that allow you to seamlessly integrate or create a WordPress-based site on their platform. Curated WordPress themes that are carefully chosen to spice up your site. Pre-installed WordPress plugins to further expand your site’s functionality. Customized control panel so you can easily access the tools you use the most. And if you choose WP Essential, you’ll get more features and functionalities that could further leverage your WordPress site. With it, your site will be up to 60% faster! They have fine-tuned their SSD-based infrastructure and ramped up their servers to speed up growing sites like yours. You’ll also get more integrated, hand-picked themes and plugins, as well as automatic malware detection and removal for a more secure website. And if you ever need help, there are dedicated WordPress experts standing by to assist you with any technical issues! Take note, however, that you need to sign up with BlueDomino’s hosting plan first before you can get WP Starter or WP Essential. If you don’t want to spend a few more bucks on managed WordPress hosting, that’s okay because BlueDomino lets you install WordPress with just a single click! You can also add other open source applications and scripts using the SimpleScripts auto-installer, which is included in the package. Credit Card Processing. With PaymentSphere, you can easily accept payments with a merchant account and payment gateway. With it, you can get excellent rates, fast deposits, and process cards in real time. You can even use your online shopping cart and scan credit cards directly with your smartphone. Besides PaymentSphere, you can also use PayPal and other payment services to easily and securely receive credit card, debit card, and bank account payments online. Premium Shopping Cart. For an additional price, you can get a shopping cart so you can add a product search to your eCommerce site and put your products on sale. SSL Certificates. Purchase a Positive SSL Certificate or an Extended Validation SSL Certificate to protect sensitive information during online transactions! With an SSL Certificate, you’ll gain the trust of your customers, knowing that their personal information are in good hands! Other eCommerce Services. BlueDomino also gives you access to the Doba Marketplace, where you can choose from over 1.5 million products and sell them on your site. You don’t even have to worry about inventory management and shipping because the suppliers will handle it for you! Another great addition is the ShopSite Starter which is available for free with their hosting plan. This lets you build a 15-item online storefront, with highly customizable layout and design. What’s more, you can accept online payments! It’s a great option for small business owners who are looking to set up an eCommerce site and want to sell a few items. BlueDomino has a pretty basic online control panel for managing your domains, email accounts, FTPs, and databases. From the control panel, you can also manage your hosting account, review your billing status, update your credit card, change passwords, etc. You can also access the application library and the SimpleScripts one-click installer, where you can easily add your favorite apps and scripts. BlueDomino’s control panel is simple and straightforward, if not too plain-looking and obsolete. However, it does the job right in many aspect. They don’t use the industry-standard cPanel control panel or other popular control panels. After all, they just offer a single, basic web hosting package with just the right features, so you don’t really need a lot of mumbo-jumbo that often comes with other control panels like cPanel and Plesk. BlueDomino is one of the very few web hosts that manage to walk the walk and talk the talk, particularly with their uptime record. There doesn’t seem to an uptime policy on their site, but a lot of other hosts will promise you 99.9% uptime or credit your account for the amount of downtime you’ve received. This is a grey area for me but after thorough research, I found out that they do have an excellent uptime track record. At best, BlueDomino’s performance is average. The problem is that they don’t have SSD hosting which could have kept them on-par with other web hosts in the industry. Without an SSD infrastructure, your site won’t load as fast as it should. 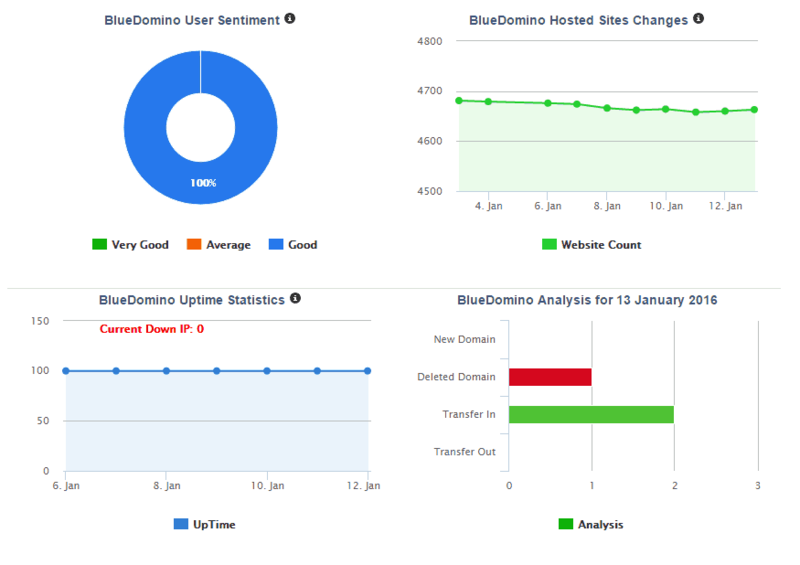 A good web host puts customer satisfaction as a top priority, and that’s exactly the focus of BlueDomino. With over a decade of experience and expertise in providing affordable and reliable web hosting solutions, BlueDomino is confident that you’ll be satisfied with their services. This, however, doesn’t mean you’re completely sold yet, which is why they’re giving you a chance to try out their services minus the risk. BlueDomino offers a 30-day money-back guarantee which seems to be the industry norm these days. With a money-back guarantee, you can simply cancel your hosting account in the event that BlueDomino doesn’t meet all your needs. You can cancel your account within the first 30 days and BlueDomino will get you your money back – no questions asked. Take note, however, that there will be a non-refundable $15 domain fee if you registered a free domain through them and you want to keep it after cancelling your account. The fee serves to cover the cost of their services and ensures that you won’t lose your domain. Additionally, BlueDomino’s 30-day money-back guarantee is only valid for credit card payments. This is because other payment methods come with additional costs. The money-back guarantee also doesn’t apply to most of their add-on services, including domains. The sheer number of options to get in touch with a customer support staff makes BlueDomino one of the best web hosts in terms of customer support. Not only is there an account-specific email contact form, you can also contact them via 24/7 telephone. They even have a live chat system for both sales and technical assistance, which is a big plus. BlueDomino’s representatives are, for the most part, wonderful. I can tell from first contact that they know what they’re talking about and that they’re willing to go out of their way to help you. What’s more, they have been trained on the relevant systems, so you know you’re dealing with a knowledgeable staff. Whatever BlueDomino’s training methods are, they should serve as a good model to other web hosts that ought to improve on the way they treat their customers. But as with any other web host, there are a number of complaints regarding response times. Some clients have experienced long response times with their live chat and email support, while some reported that it took a while for a rep to respond to their questions. Their knowledgebase also leaves something to be desired, as it lacks tutorials and guides that could help newbies. There really isn’t a lot of content that will help you walk through various tasks, and some of them even need to be updated. As you can see, the advantages and disadvantages are fairly balanced. Now, it’s up to you to decide whether or not BlueDomino is the web hosting provider for you. With basic web hosting capabilities at an affordable rate, BlueDomino is a hosting provider that’s worth considering. They offer a single, all-in-one hosting solution that beginners will surely love. It’s a hassle-free way to get your site up and running – no fancy gimmicks whatsoever! BlueDomino chose not to provide services that are too complex or may pose a serious risk to security. Instead, they focus on helping their clients build a speedy and trouble-free website. But while its affordability and reliability is commendable, advanced users may find the lack of key features hindering. Overall, I recommend BlueDomino for those who want a simple and straightforward hosting plan that doesn’t come with a lot of unnecessary features. The price is just right for this type of hosting package, and I’m very impressed with their uptime record and their commitment to helping their clients every step of the way. While they’re certainly have one of the cheapest offerings in terms of basic web hosting, there are many other companies that are just as good – if not better. Considering checking out eHost’s shared hosting plans. They’re cheap and they offer more hosting options if you’re expecting growth to your business and website. I would also recommend BlueHost for their VPS and dedicated hosting plans, so don’t forget to read my in-depth review. BlueDomino may not be everyone’s cup of tea, but it’s a trusted hosting provider that offers comprehensive service for basic web hosting. They are competent in what they do.